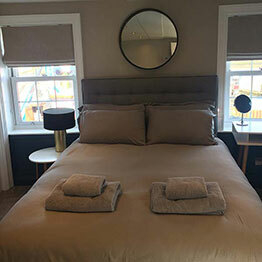 Relax in our newly refurbished holiday apartments. Stay with us and feel like home. Stay in luxurious surroundings just a stone's throw away from the beach! 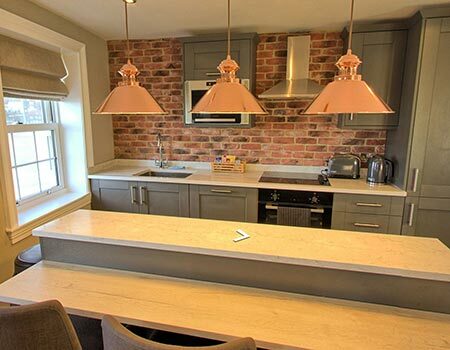 Recently refurbished, modern apartments with everything you need for a memorable stay. 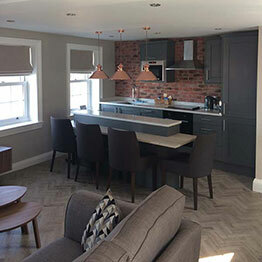 We acquired Apartment 1 and Apartment 2 of the Old Boatman's Shelter in 2017 and have been working very hard to create a modern, warm environment for your holiday in Whitby. Each apartment sleeps 4 people with perfect views looking over Whitby Harbour and up towards Whitby Abbey and it's famous 199 steps! The charm of Whitby, with its narrow cobbled streets, picturesque pantiled houses, stunning coastal scenery, safe beaches and traditional welcoming friendliness of the local residents, are just a few of the reasons why people return year after year to this jewel on the Yorkshire Coast. 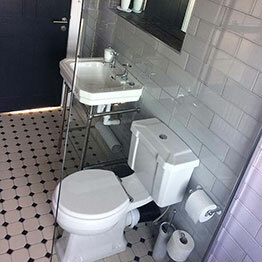 Our photos Take a closer look at our apartments, refurbished for 2018. 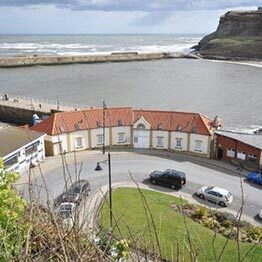 The Old Boatman's Shelter is two modern holiday apartments based on Battery Parade and Khyber Pass in Whitby.